A man-made lab vaccine can’t protect you from colds and flu as effectively as Mother Nature can. Winter is here and that means the dreaded flu season is too! So the obvious thing to do is round up your family and go for an annual flu shot, right? But is that the most effective way to protect you and your family from colds and flu? Does it really do what doctors claim? A 2011 study published in the Lancet Journal conducted by the University of Minnesota has revealed that 1.5 of every 100 adults who get the flu shot will avoid getting the flu. That means 98.5 get sick even though they’ve had the vaccine. Proof that the flu shot isn’t nearly as effective as doctors claim it is in preventing colds and flu. In fact, it’s just about useless! In 2009, the Cochrane Collaboration (an independent research organisation) reviewed every flu vaccine study conducted between 1948 and 2007. Their conclusion: “There is no evidence whatsoever that seasonal influenza vaccines have any effect, especially in the elderly and young children”. Thimerosal (a mercury derivative added as a preservative) – mercury is a toxic heavy metal that can lead to severe speech and vision impairment. Formaldehyde (to kill viruses) – a carcinogen that can cause serious respiratory problems such as bronchitis, pneumonia or pulmonary oedema. Aluminum (to promote antibody response) – which is suspected of causing Alzheimer’s amongst other illnesses. Ethylene glycol (also known as antifreeze) – known to cause kidney and liver damage without showing symptoms. According to reports, no cough remedies have ever been proven to be better than a placebo for adults or children. Antibiotics are a “wonder drug” in the medical world – no one is disputing that. But, while your doctor will no doubt prescribe them to you for a viral cold or flu in case you develop a bacterial infection… This overuse of antibiotics has resulted in much more resistant bacteria. And if that’s not enough, side effects like nausea, allergic reactions and severe abdominal cramps seem like a big price to pay for a failed attempt at fighting off a viral infection! Why take harmful flu shots and ineffective modern-medicine when there are all-safe, all-natural ways to protect you and your family from colds and flu this winter? The natural approach to protecting you and your family from colds and flu has been overshadowed by the pharmaceutical industry for far too long! After all, with modern medicine come unwanted side effects that could result in long-term health complications. If you’re serious about flu protection, take the more natural approach. For example, studies show that one vitamin is crucial in preventing colds and flu and can cut your risk of coming down with the flu by 50%! And that’s why today, I want you to discover all-natural cold and flu prevention secrets as well as natural flu-fighting remedies you can use to protect your family from the flu season this winter. That’s really a bargain when you consider how much it costs for even the most standard modern treatments and a 15 minute trip to the doctor which could cost you upwards of R300! But you won’t have to worry about that: Nature's Healing Remedies for Colds and Flu will help keep you and your family healthy year in and year out. P.S. I’m so confident Nature's Healing Remedies for Colds and Flu will keep you and your family healthy this winter, I’ll give you a 14 day money back guarantee. If during this time you feel Nature's Healing Remedies for Colds and Flu won't help you protect your family naturally from colds and flu this winter, simply let me know and you’ll get a full refund. P.P.S. 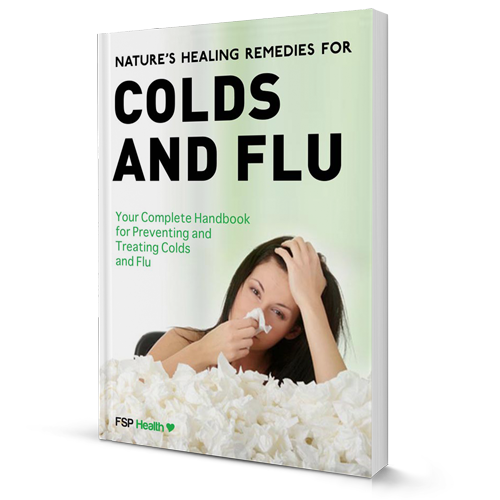 Because winter has already arrived, I don’t want weeks to go by till your copy of Nature's Healing Remedies for Colds and Flu arrives in the post. That’s why I’ve made it possible for you to get your hands on it right away in the form of an e-book so you can start protecting your family. 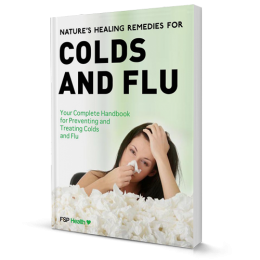 Order now and your copy of Nature's Healing Remedies for Colds and Flu will be delivered to your email inbox within minutes.